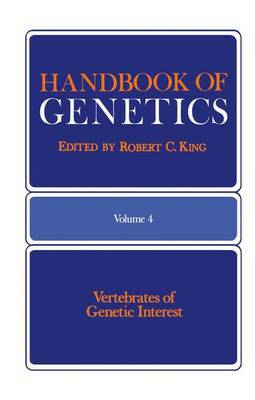 The purpose of the first four volumes of the Handbook of Genetics is to bring together collections of relatively short, authoritative essays or an- notated compilations of data on topics of significance to geneticists. Many of the essays will deal with various aspects of the biology of certain species or species groups selected because they are favorite subjects for genetic investigation in nature or the laboratory. Often there will be an encyclo- pedic amount of information available on such species, with new papers appearing daily. Most of these will be written for specialists in a jargon that is bewildering to a novice, and sometimes even to a veteran geneticist working with evolutionarily distant organisms. For such readers what is needed is a written introduction to the morphology, life cycle, reproductive behavior, and culture methods for the species in question. What are its particular advantages (and disadvantages) for genetic study, and what have we learned from it? Where are the classic papers, the key bibli- ographies, and how does one get stocks of wild type or mutant strains? Lists giving the symbolism and descriptions for selected mutants that have been retained and are thus available for future studies are provided whenever possible. Genetic and cytological maps, mitotic karyotypes, and haploid DNA values are also included when available. Volume 4 deals with certain vertebrate species that have been studied in considerable detail from the standpoint of genetics or molecular cytogenetics. Such data are available for only a relatively few vertebrates.